For many of us who were born at the turn of the ’90s and grew up surrounded by video games, the arrival of the internet was like a great boom that radically changed the way in which we view this industry. This gave rise to a wide variety of Online RPGs, many of which varied greatly in terms of gameplay, systems, and mechanics, but shared a similar progression system that revolved around training and leveling a character. Games like World of Warcraft, Lineage II, Fly For Fun , and Silkroad, among others, shared this system. In this sense, every time the player leveled up, they would unlock access to new zones, missions, and a wide variety of gear and skills. In most cases, players could run around and discover new characters, ferocious beasties, and hostile units, which added a sense of scale to the game’s world. However, the quality of these titles varied by entry, and sometimes by region. Korean games, for example, usually offered dynamic gameplay with flashy visuals, but with monotonous tasks, which were perfect for those gamers that simply wanted a game to sink countless hours into. The Western games, on the other hand, usually had more interesting exploration and lore. However, there was one thing that all these titles had in common: the social aspect; the fact that you could team up with other players from around the world to defeat a powerful enemy, or to explore dangerous dungeons. Even though most modern games have some sort of matchmaking, this aspect was a novelty back then and, in great part, one of the things that attracted and trapped players within their sprawling worlds. But why are we giving a history lesson instead of talking about the game in our title? Well, to understand the legacy that Ragnarok Online had, we must study the impact that MMORPGs had in the gaming community back then. We’re talking about a genre that captured a massive audience within its worlds. In fact, some of these games even offered countless zones to explore without loading screens in between; the world was laid bare before your eyes, and you could explore everything to your heart’s content without any type of restrictions. 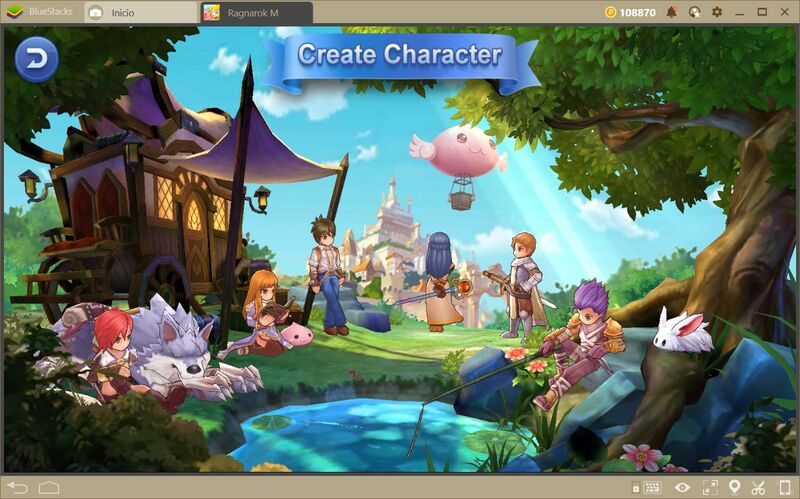 In Ragnarok Online, players could dive into the realm of Rune-Midgard, the biggest in the entire planet, with more than 50 zones that players could visit. Story content aside, which we can discuss on another occasion, the game presented to all its users a wide variety of environments, from lush forests and greeneries rife with wildlife, dungeons where the undead roam, and even dangerous volcanoes, to haunted mansions and abandoned labs, among many others. The game’s progression system was very popular, and one of its strongest features due to its vast amount of customization and character builds, especially in intense PvP matches, as well as in the War of Emperium battles. In this sense, players had a lot of freedom to customize their builds to a certain degree, while still remaining viable in fights against other players. Furthermore, every character, class, and animation were entirely hand-drawn, which added to the overall charm and thrill of creating your own customized avatars. In other words, the game consisted of 2D sprites against 3D backgrounds and offered a beautiful and unique art style at the time. The game’s great success translated to numerous adaptations and spinoffs in other platforms, including around 10 other mobile games, all of which revolved around the story of several adventurers. 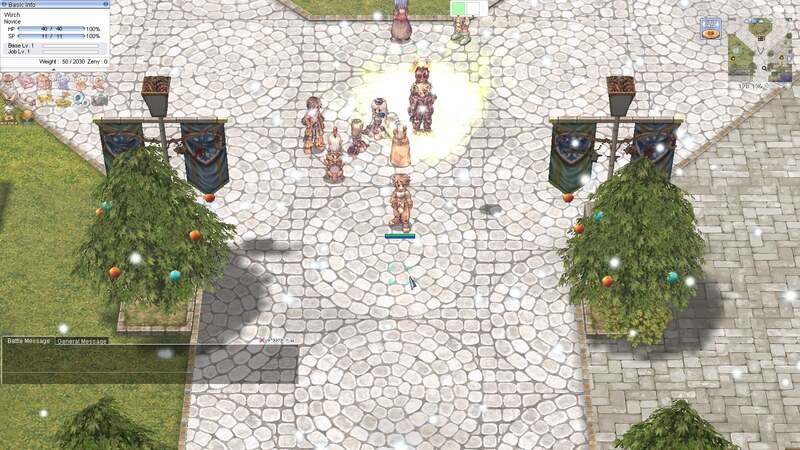 However, the most popular title—which is still played to this day—was Ragnarok Online. 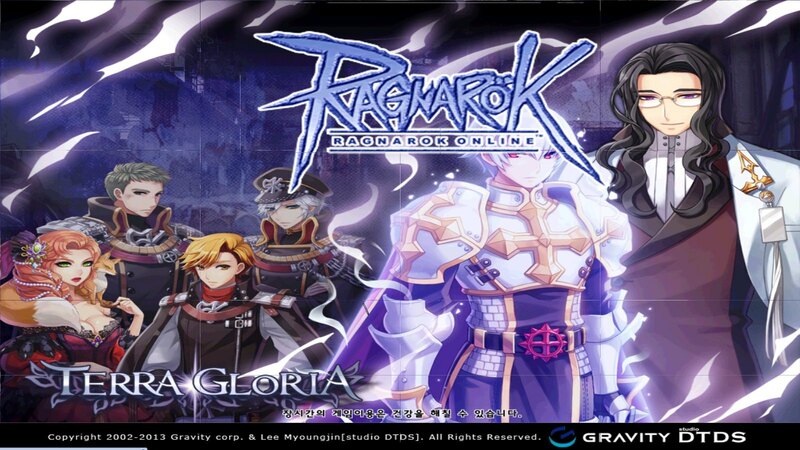 Ragnarok M: Eternal Love was the attempt by Gravity Interactive to capture all those elements that elevated Ragnarok Online to the top of Korean MMORPGs, and port them to the mobile platform, where it would try to shine as bright as it did almost 16 years ago. Just like its predecessor, Ragnarok M is an open-world MMORPG that puts you in control of an adventurer exploring the realm of Rune-Midgard to find his or her fortune. 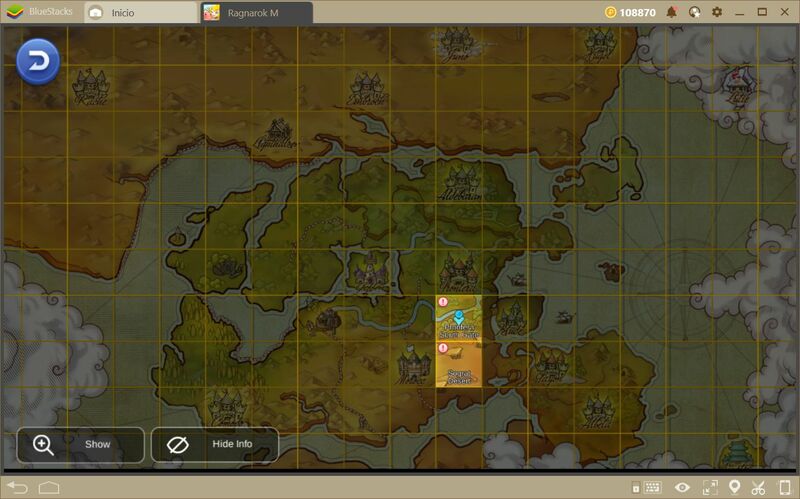 In this game, players are free to explore the world, which consists of many different zones, to their leisure. Each zone is connected to several others by portals, just like in the original game. Furthermore, players can also meet new characters and help them out by completing the quests they hand out to obtain experience and valuable gear. Like any other Korean MMO, this is a game that leans more towards player interactions and daily tasks to strengthen their characters, over following an intense and lengthy story. In this sense, you’re free to do what you want from the very beginning: from running around killing monsters to gain experience, finding new gear to increase your stats, and making new friends while you explore, to speaking with NPCs to progress through the game’s main story quests. 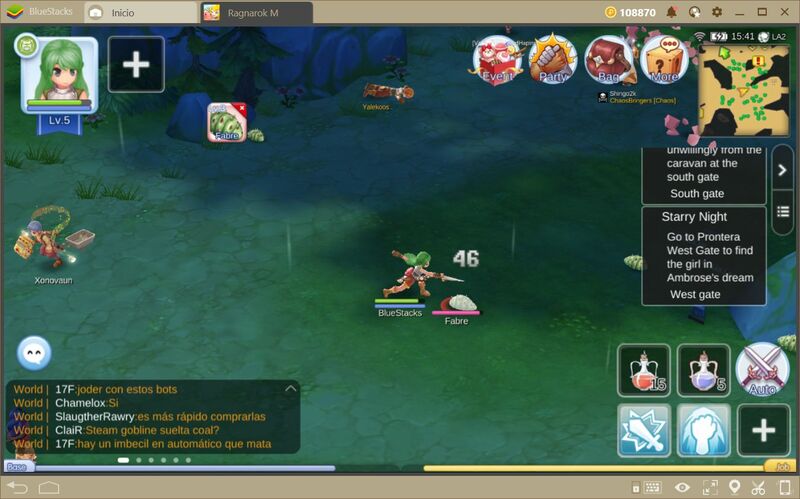 However, it’s difficult to write about Ragnarok M: Eternal Love without mentioning the change in art style. Unlike its predecessor, instead of using highly-detailed, hand-drawn 2D sprites with impeccable technique over 3D backgrounds, this game went through the full-3D route. Despite creating awesome visuals, especially in relation to the graphics of other games—which are bordering obsolete, we can’t help but miss the old times when the game was full of cute sprites. Nevertheless, if you’re into 3D, then you probably won’t share our opinion. However, if you’re expecting a game with characters crafted with the same attention to detail that you enjoyed in 2003, then you might be a bit disappointed in this regard. Fortunately, Ragnarok M more than makes up for this through its gameplay by offering everything you knew and loved from the original game and combining it with the improvements that current technology and dev standards can afford. 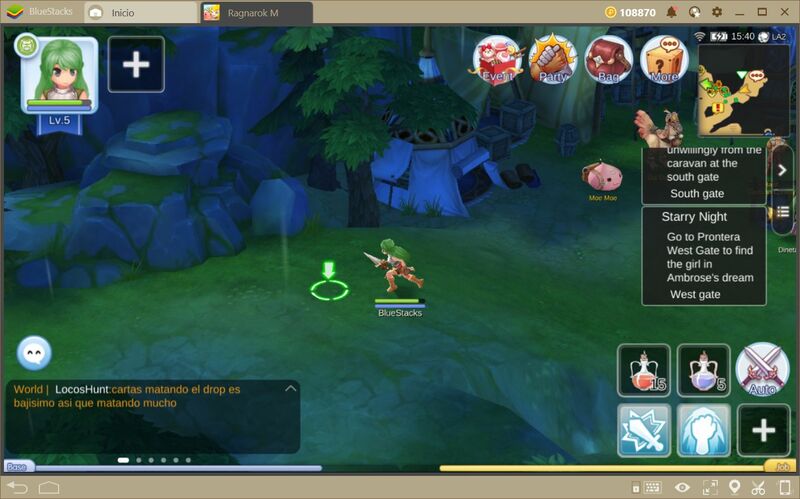 In this sense, Ragnarok M: Eternal Love suffers from the same inherent restrictions of the mobile platform: reduced screen size, and cumbersome touchscreen controls. However, if you decide to try this game on BlueStacks, you will feel as if you’re playing the Ragnarok from 2003 all over again. Our native mouse and keyboard controls enhance the fun that you could ever obtain from playing this game on mobile devices by allowing you to focus more on combat and missions and less on struggling with the controls. We will go into further detail about the features of this game in our upcoming guides. 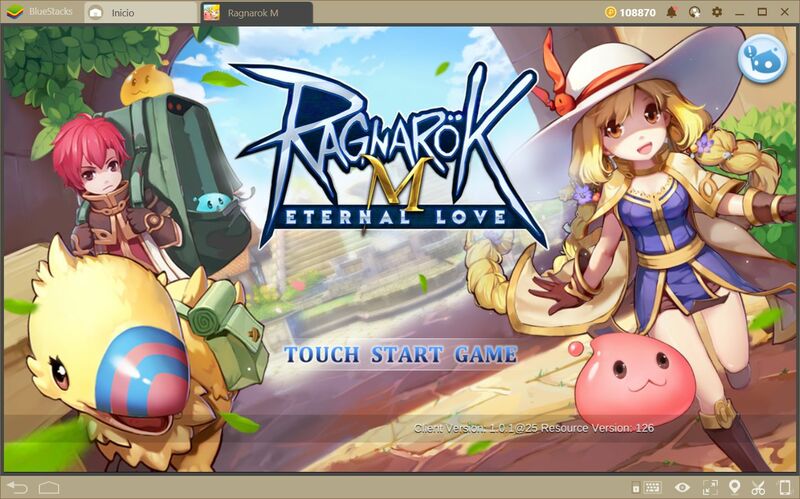 For now, the only thing that’s left to say about Ragnarok M is that, if you were ever a fan of Ragnarok Online back in the day and are looking for a similar game to relive that experience, then we strongly recommend that you give this title a chance. 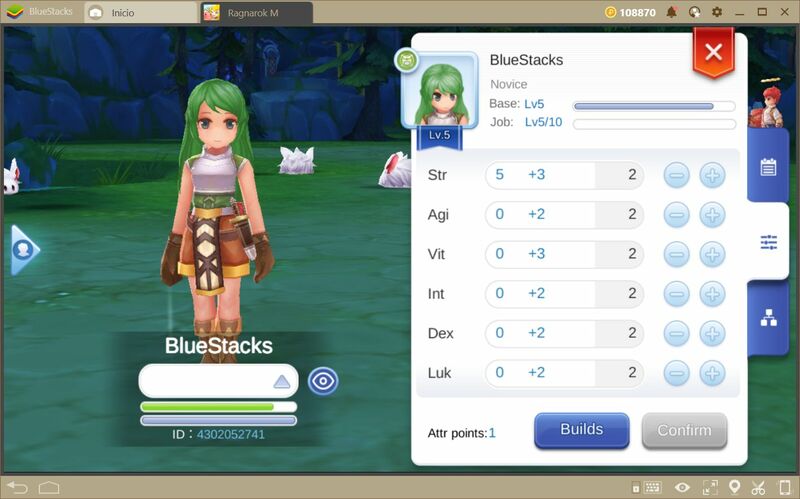 Furthermore, if you’re looking to learn more about this game before diving in, we recommend taking a look at the other Ragnarok M guides on the BlueStacks Blog. Did you ever play Ragnarok back when it was most popular? How was your experience with the game? Do you think Ragnarok M: Eternal Love is a worthy successor to its name? Let us know your thoughts in the comments section below! If there are aspects of the game that you’d like to know more about, please let us know as well; we love hearing from you!